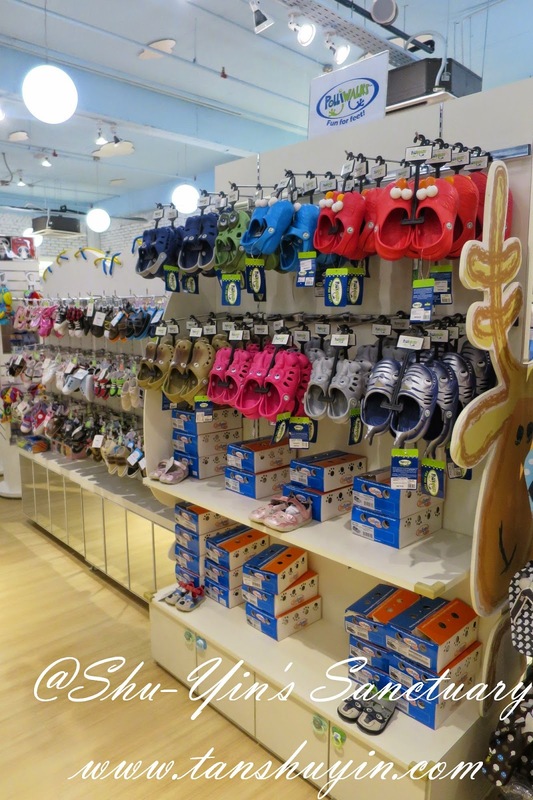 It was a pleasure to be invited by Happikiddo to do a store review in Citta Mall for them late last month. 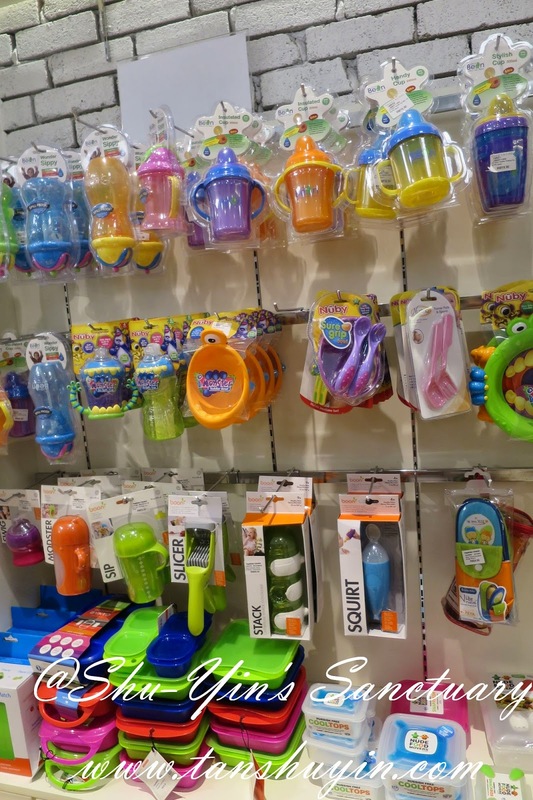 Happikiddo is a concept baby store with A-Z cool and innovative stuff for mums, babies and children. Just everything you need under one roof, hand-picked and always trend forward. 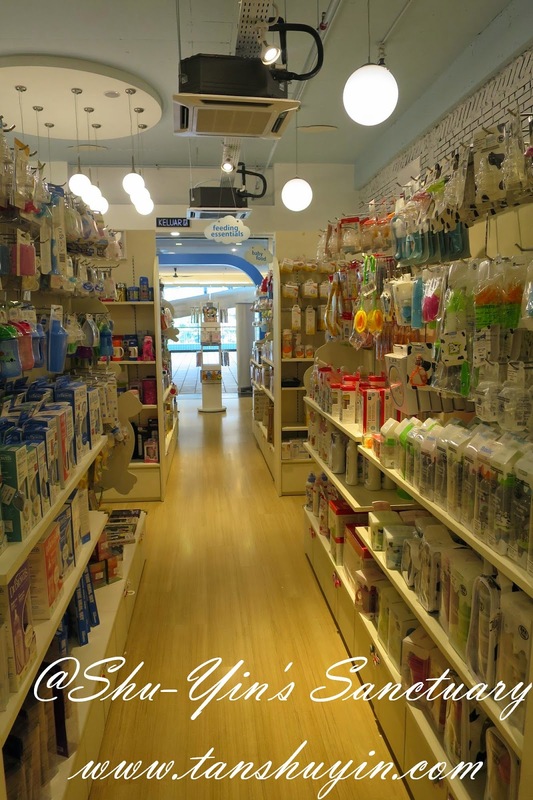 They carry over 50 international brands with more than 10,000 products under one umbrella. Their favourite thing to do is to get parents excited, kids happy. They currently have four outlets across Klang Valley in Citta Mall, Quill City Mall and Publika, open from 10am to 10pm daily. 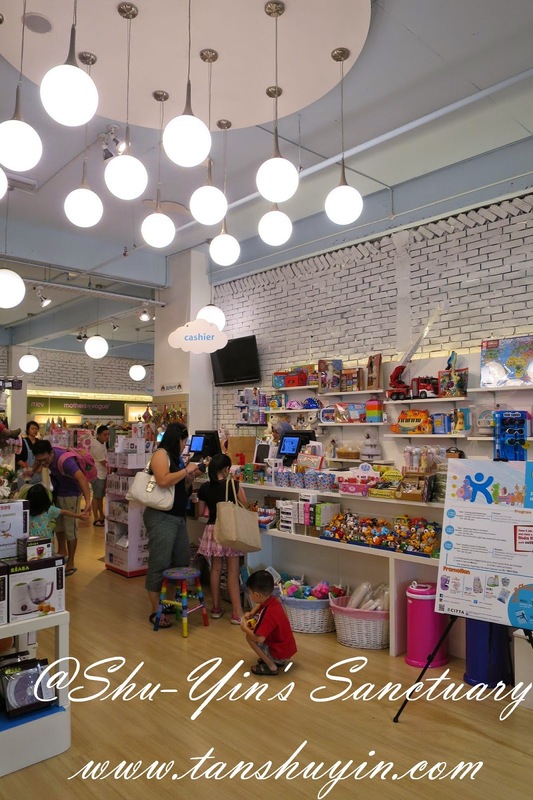 I was pleasantly surprised and happy to see that Happikiddo has a large floor space in Citta Mall. 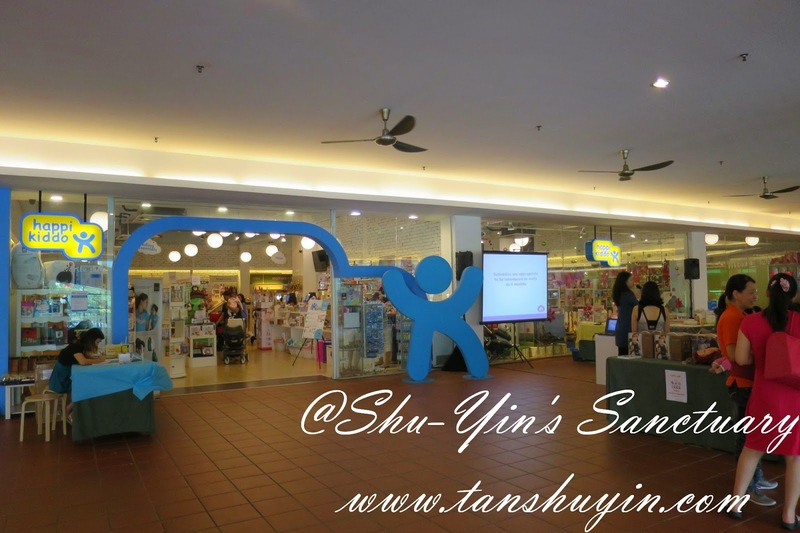 And because it was their launching day, they had set up a temporary talk session area in front of the stall. I did not attend it because I did not want to be late for my flight. 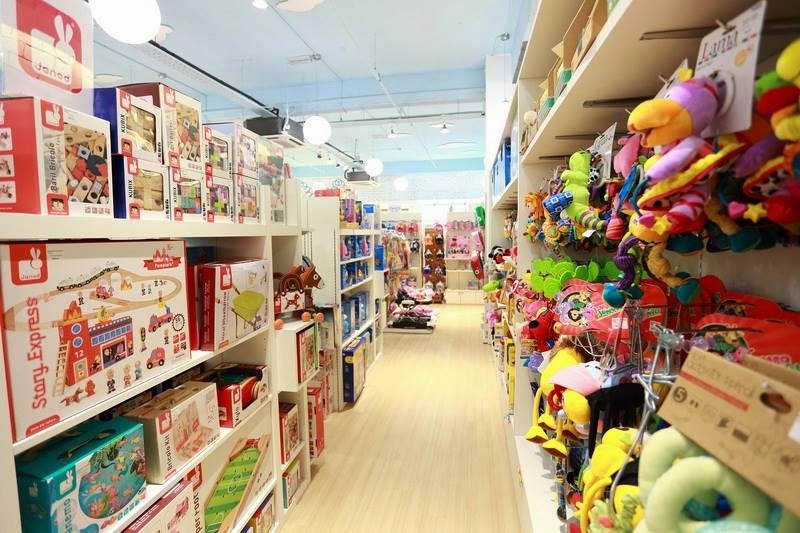 The store was huge, and I was excited and happy to see that this Happikiddo Citta Mall Store has a large varieties of everything - toys, gears, apparels, food, etc. Let me show you some of the things I managed to capture in my camera. 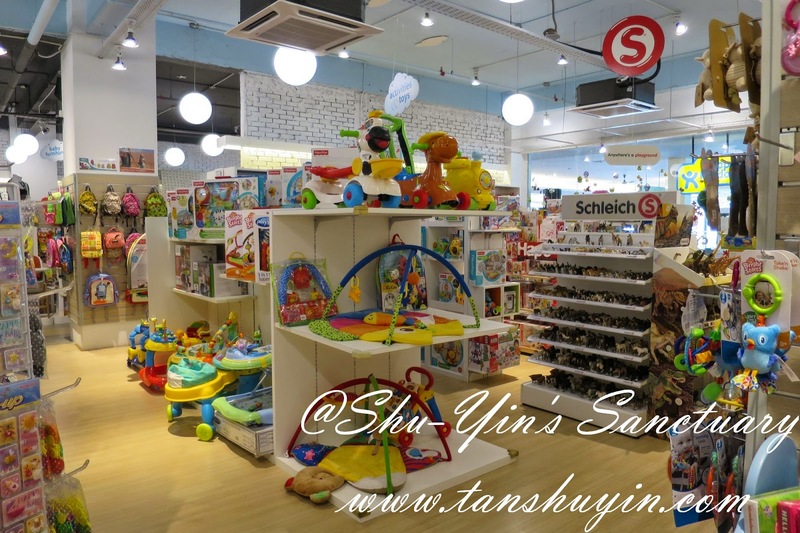 Their toys section is not the usual ones you see anywhere. 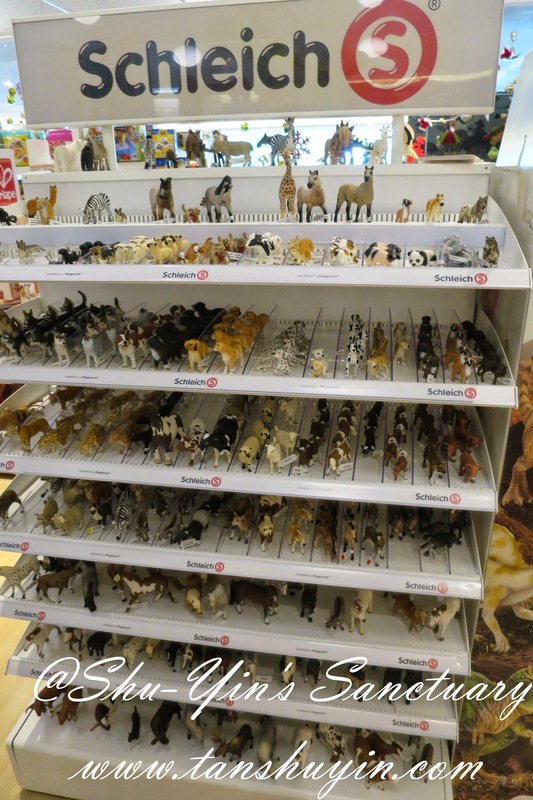 They really stock up on good quality toys that you can't find just anywhere, such as this Schleich which has the most delicate and cute animals. 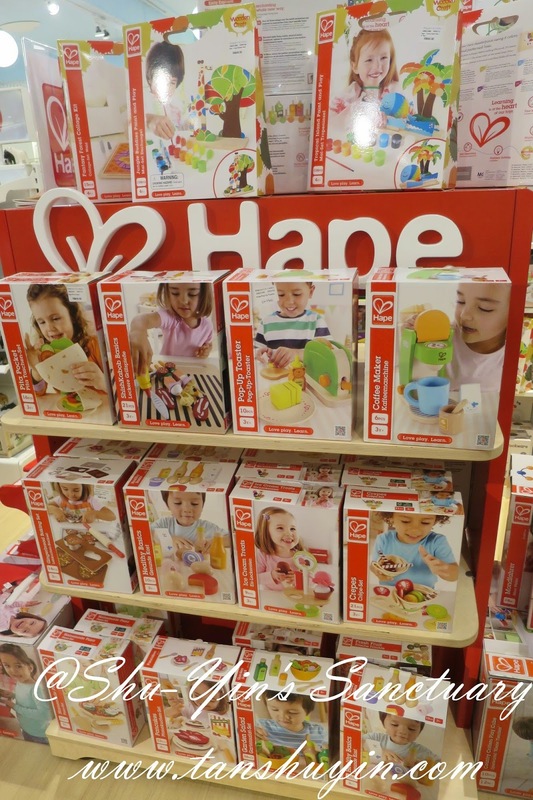 And they have this quality, educational wooden toys from Hape which are my favourite too. And I love this - Maternity and Nursing Selection from Mothers en Vogue! It's a good brand with quality clothing and fashionable too. You don't get much choices of this in Penang so I was appreciative to see this there. 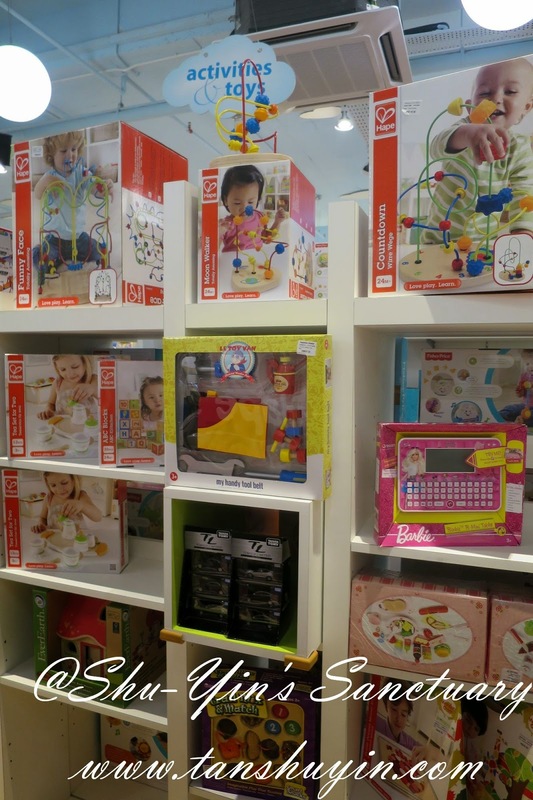 Loads of baby stuff such as baby play mats, first scooters, rattles and stroller toys and also baby walkers. And their Baby Gears section is quite huge. They have a large selection of strollers and car seats ranging from birth up to booster seats. They also have bouncers and high chairs. 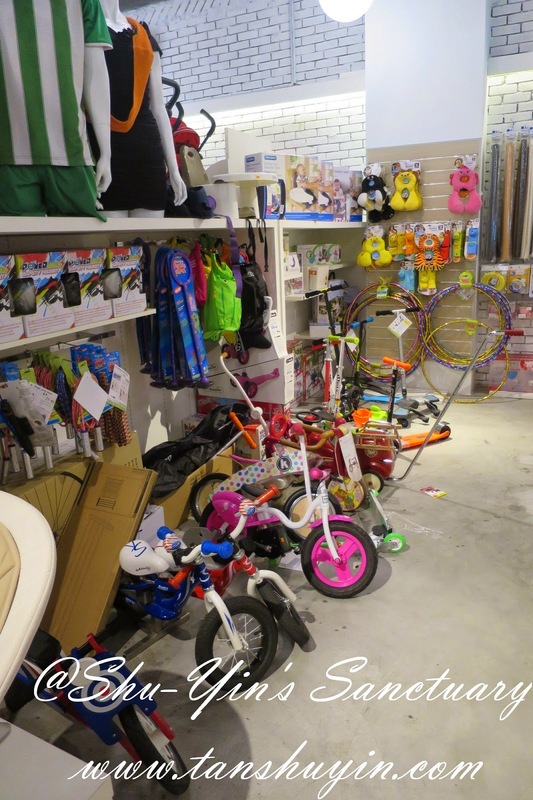 And also a reasonable selection of outdoor gears such as the bicycles, balance bikes scooters, hula hoops, skipping ropes, etc. Impressive indeed! 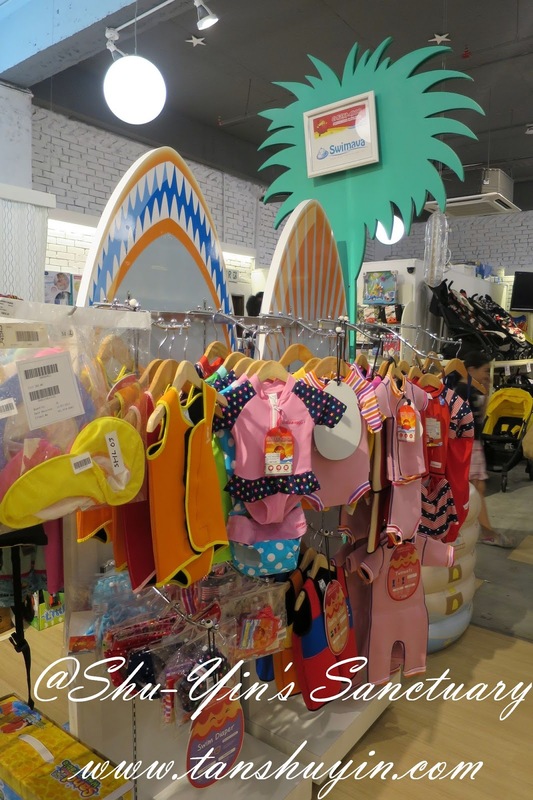 They also have Cheekaaboo's Swimsuit, which I'd reviewed before, the only protective swimsuit for babies/kids I know that has an insulating and sun-protecting properties, protecting my kids from the cold and the sun! Happy to see the brand here! 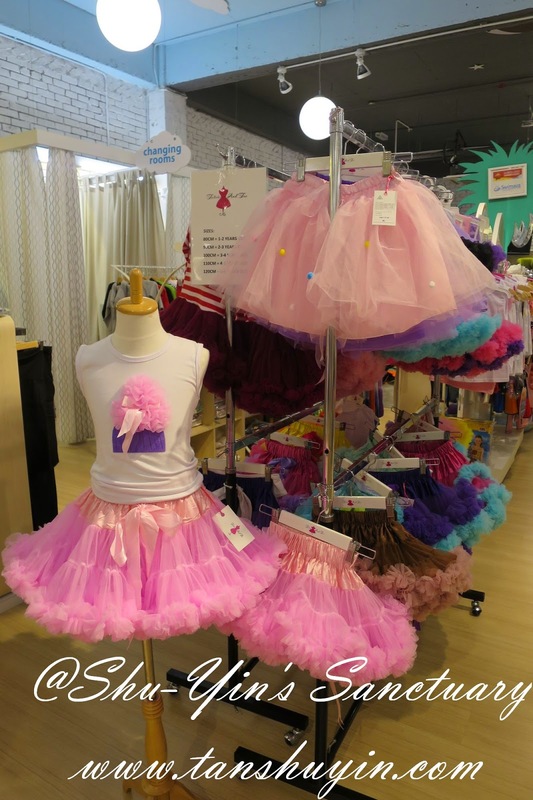 dancing tutus that are soooo adorable! Same for footwear. 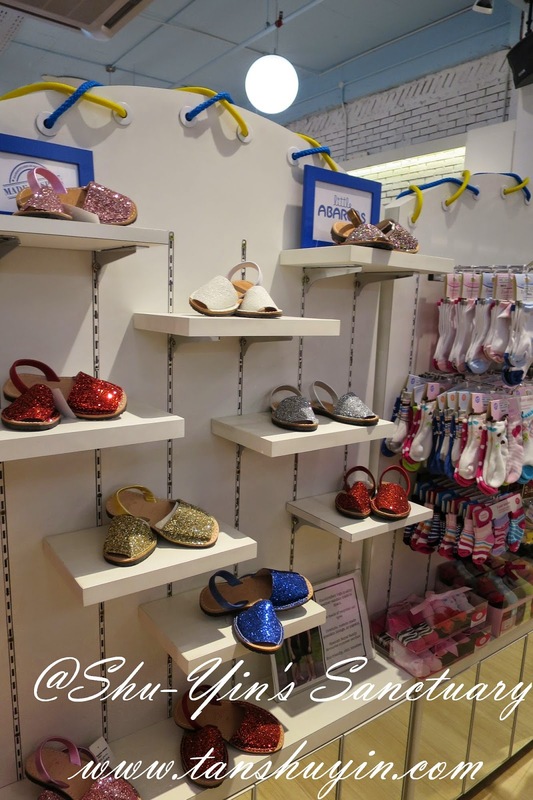 They have shoes and socks and their collection of them are quite good, ranging from the casual slippers to the more eloborate party shoes. 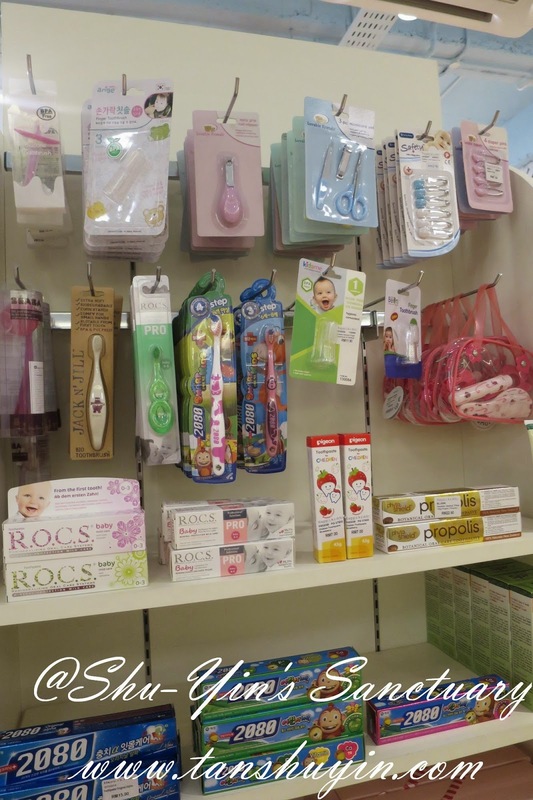 And they also carry baby's bath cares and ointments, and I'm happy to see my favourite Blue Oak Valley's Baby Kingdom brand range is among one of them! 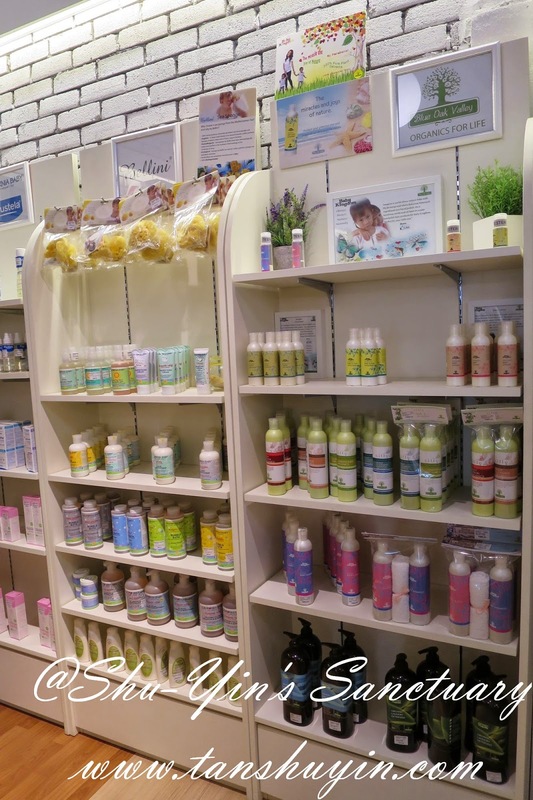 More of the bath care range from the more usual brands such as Pureen, Sebamed, etc. And on top of them you can also spot some Bumbo Chairs and Trunki-es! They even carry disposables and wipes. 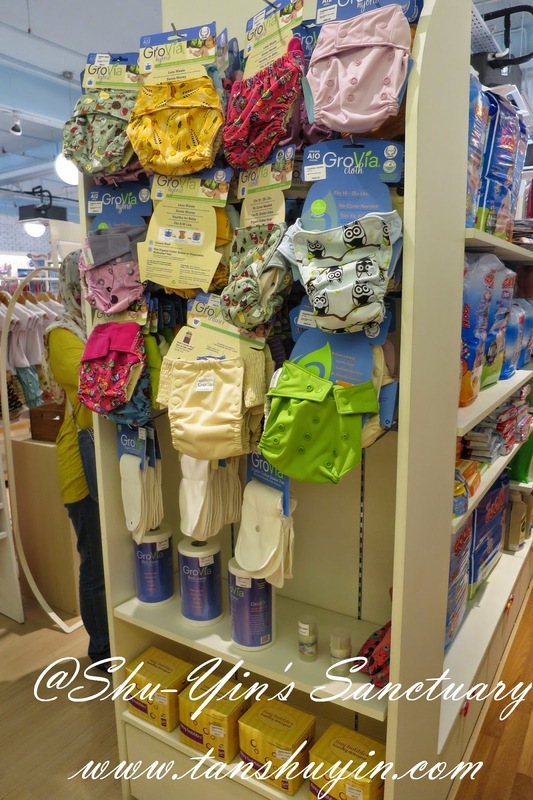 They do have a small range of Cloth Diapers too, but I only saw GroVia brand. I haven't used this for my kids before but my sister does and she has rave reviews for this brand. I hope to try them someday. 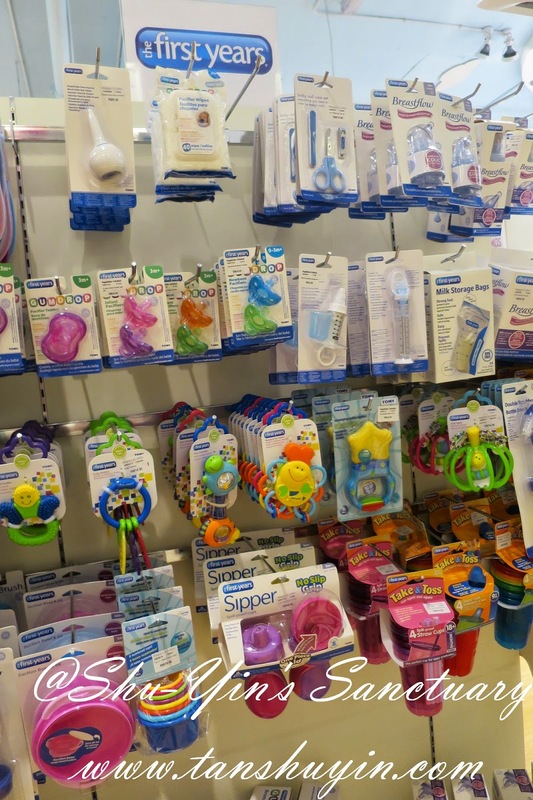 The Baby Care range is huge! Just look at the choice of nail clippers and safety pins, they have a few choices foe each. And they also have many brands of toothbrush and toothpastes. I see Jack N' Jill brand there, the one Shern and Khye are using. 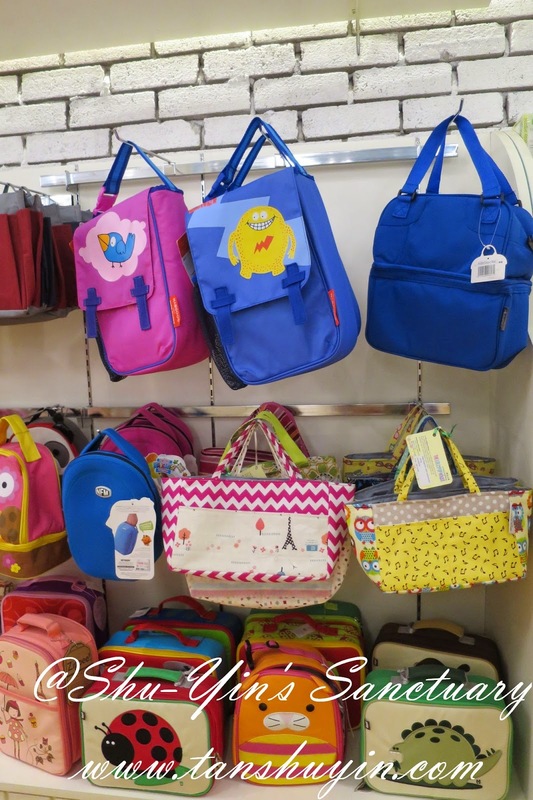 And who can resists these cute and adorable lunch boxes! 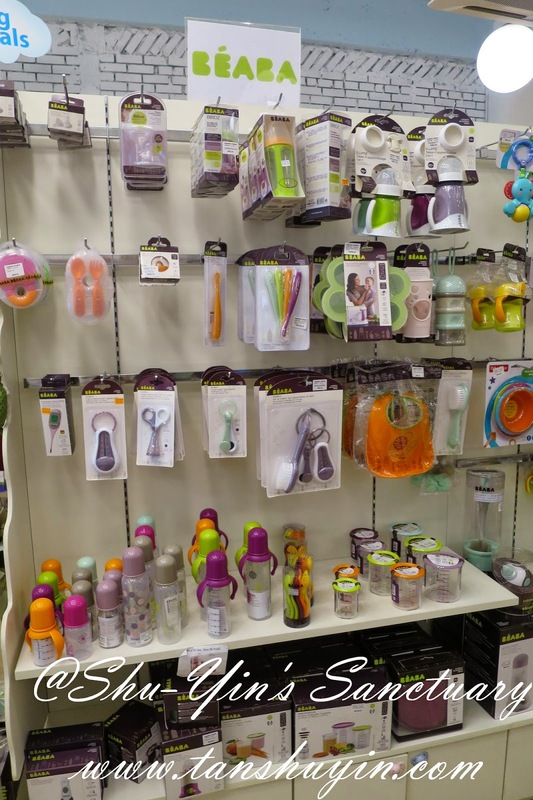 And please be wowed by the wide selection of sippy cups and bottles and food storage system for all meal times needs! 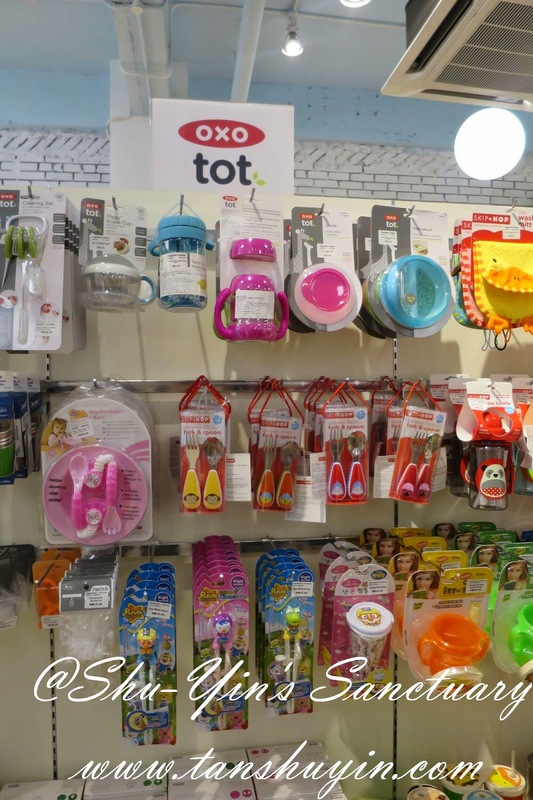 And I see my favourite OXO Tot brand there too! 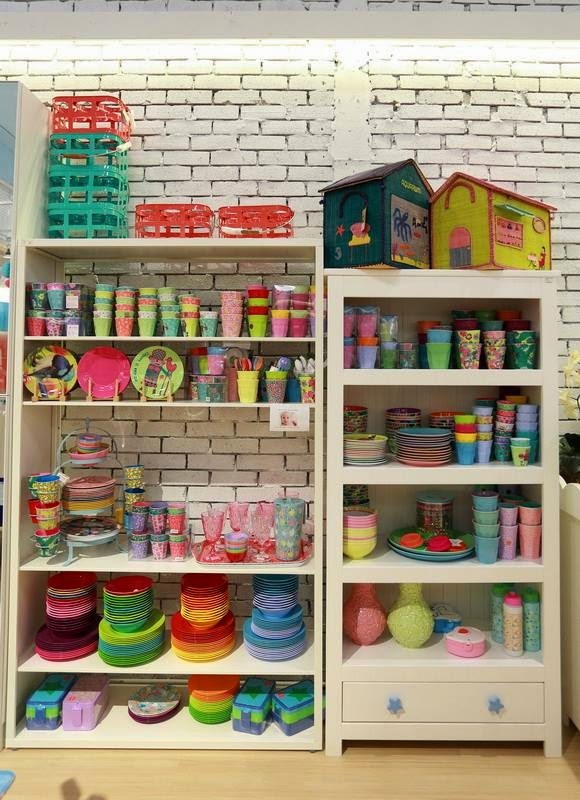 And I like this shelf which displays the colourful and vibrant design of the melamine plates and other tablewares. I think this makes dining fun for the kids to see such happy design. 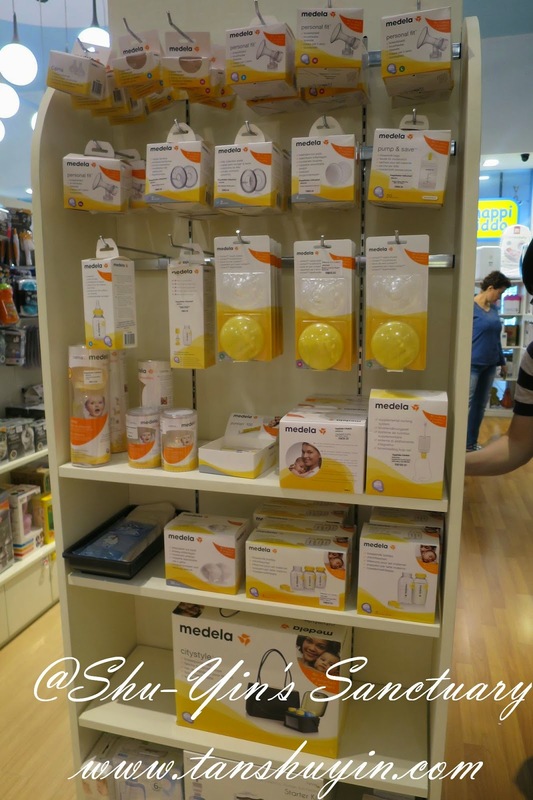 I spotted some Medela parts here, selling the different shield sizes and some parts that are not so easily bought outside. They even carry formula milk brands. 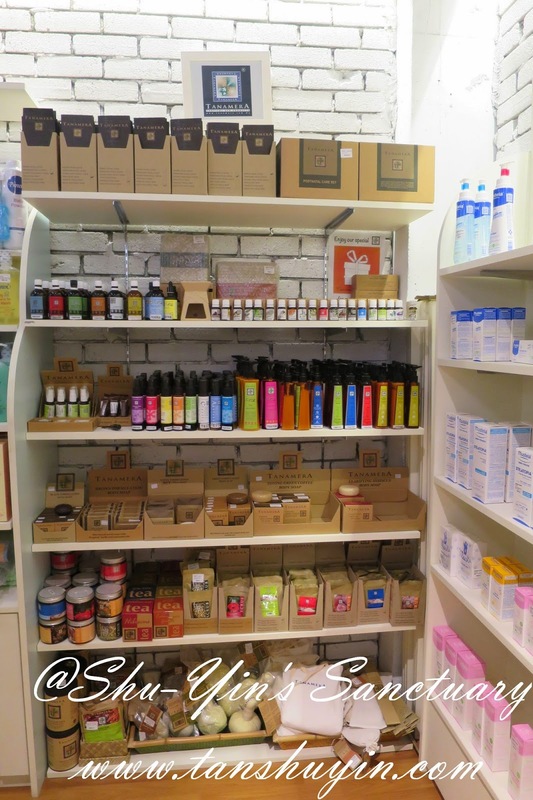 And a huge range of organic food for babies and toddlers! 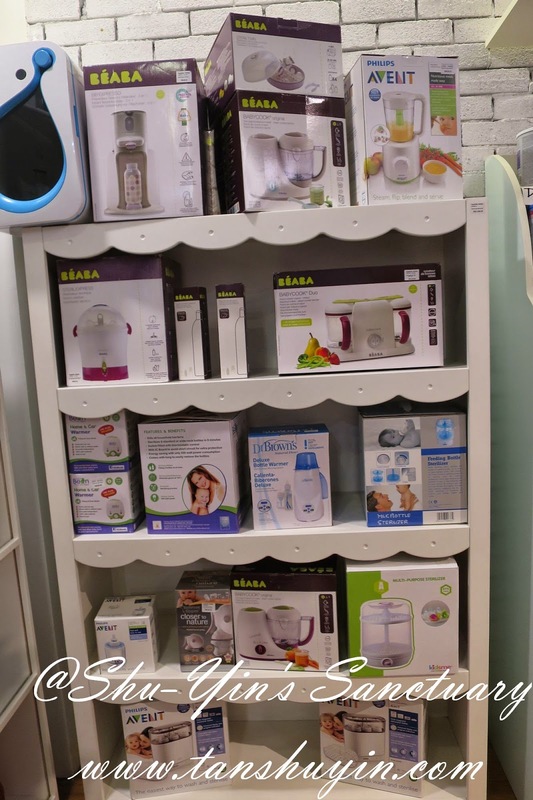 And they also have the famous Beaba babycook available in store! 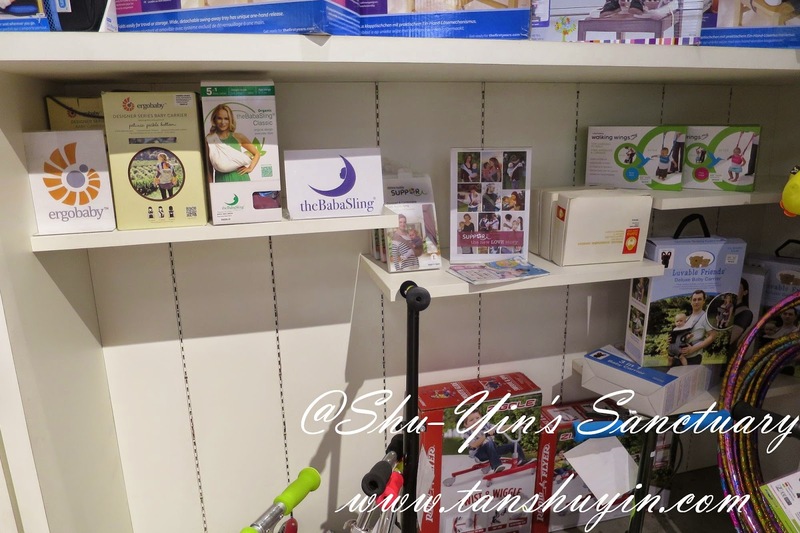 And then I spotted a small range of baby carriers in store too, spotting my favourite Ergobaby brand amongst the Baba Sling, and i-Angel Hipseat, and others. And at the corner of the store, there is even a pop up girls/princess room that tells you Happikiddo even has kids furniture for sale. Behind this is the boys/prince pop up room. 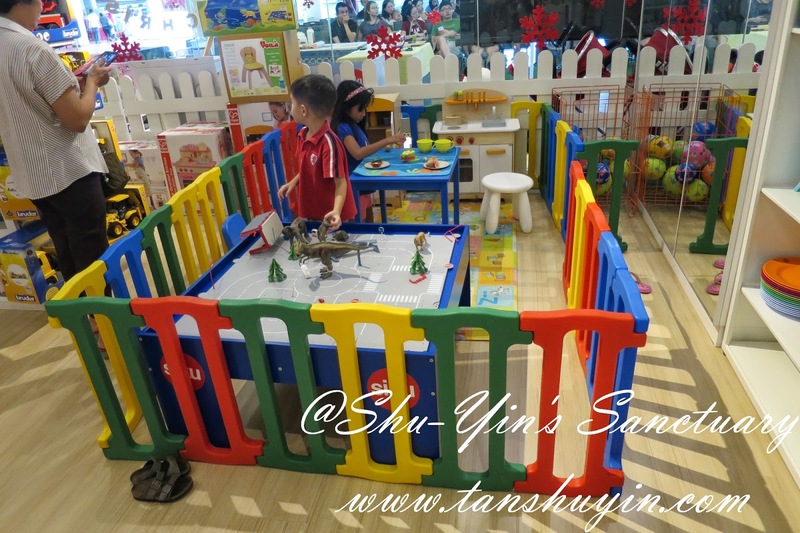 And best of all, at the corner of one side of the store, there is a special designated gated kids area where your kids can spend some time there keeping themselves busy which the parents can browse around close by. 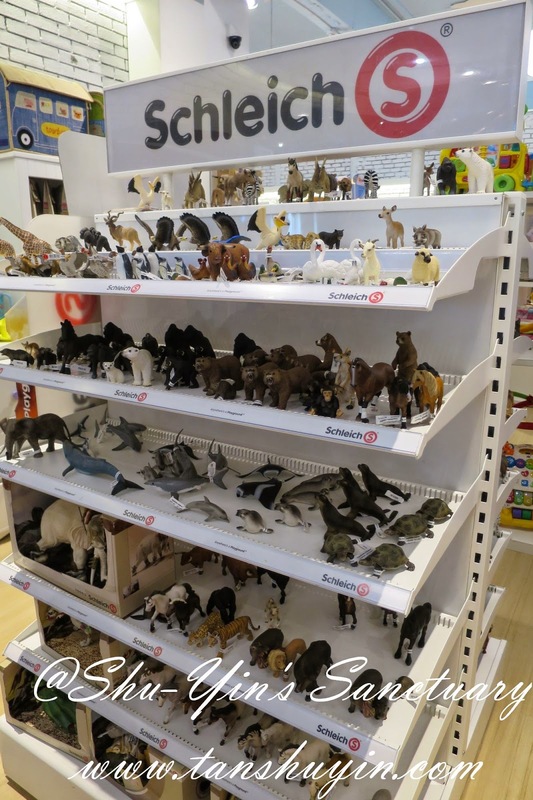 I am totally in love with this store mainly because of this - they are kid-oriented! As being part of the blogger invitation, I received a 20% discount for that day, and needless to say, of course I spent money in that store. Haha. I also received a small set of melamine bowl, a plate and a kiddy chopsticks. 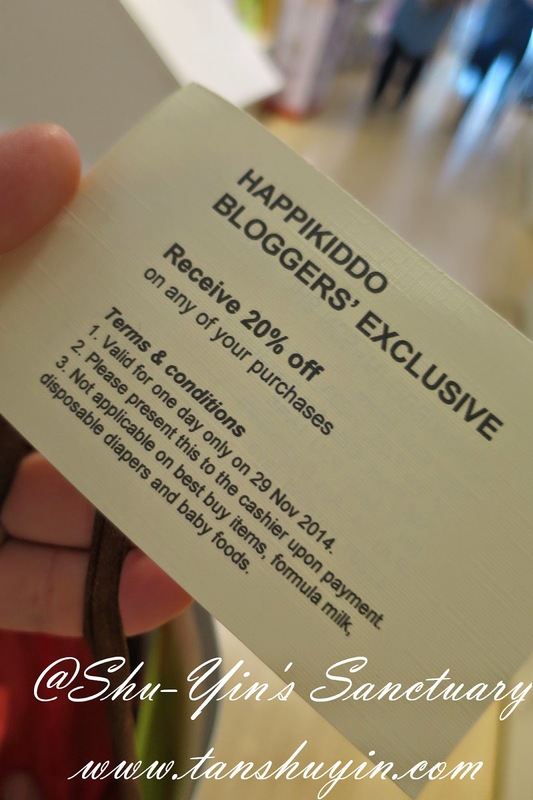 All in all, Happikiddo is definitely going to be every mum's favourite shop, without any doubt! 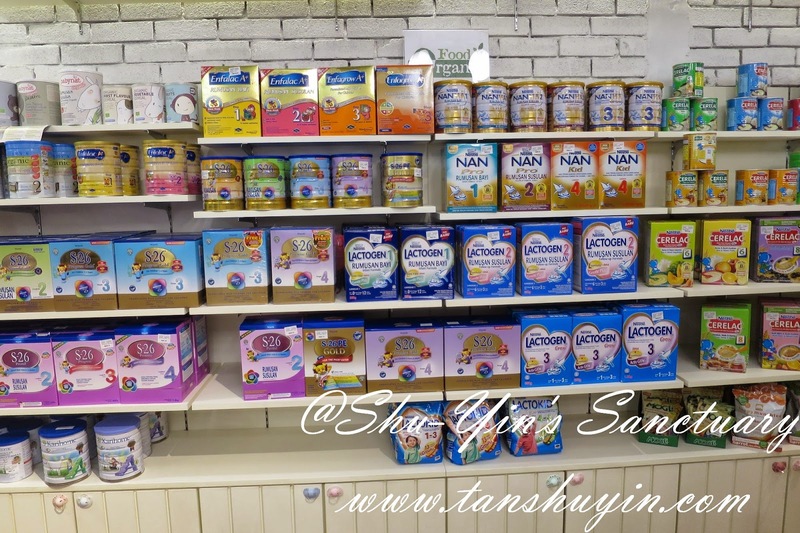 So if you are based in KL, you are going to be a very happy mum because this one-stop store is going to settle all your baby needs. 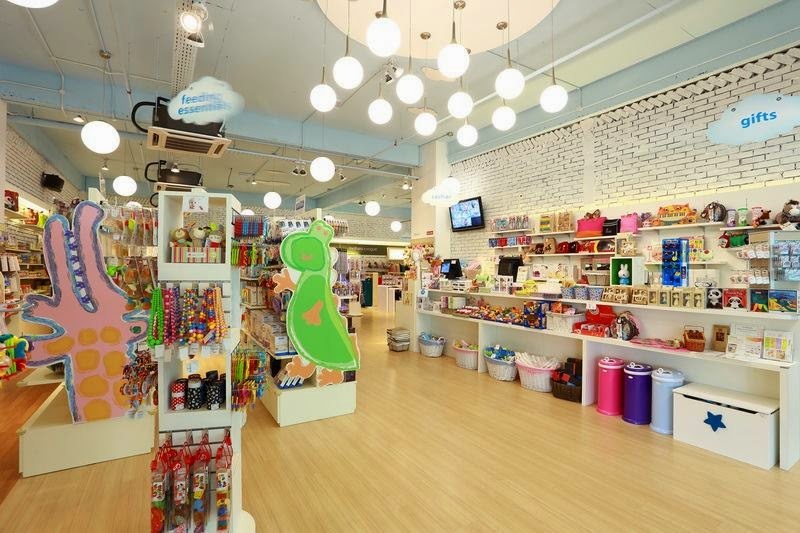 And if you are not based in KL, please drop by any of the Happikiddo Stores and you won't be disappointed! Lot No. 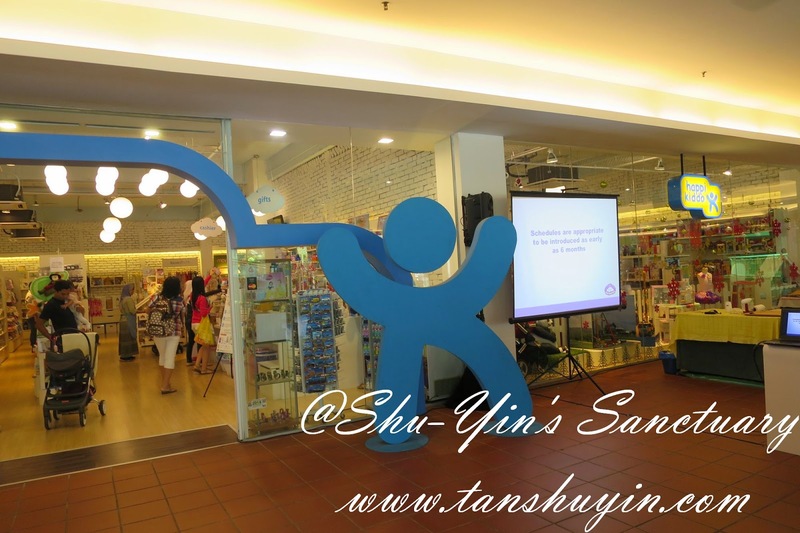 9 Level UG 1, Publika Shopping Gallery, Solaris Dutamas, Jalan Dutamas 1, Kuala Lumpur. 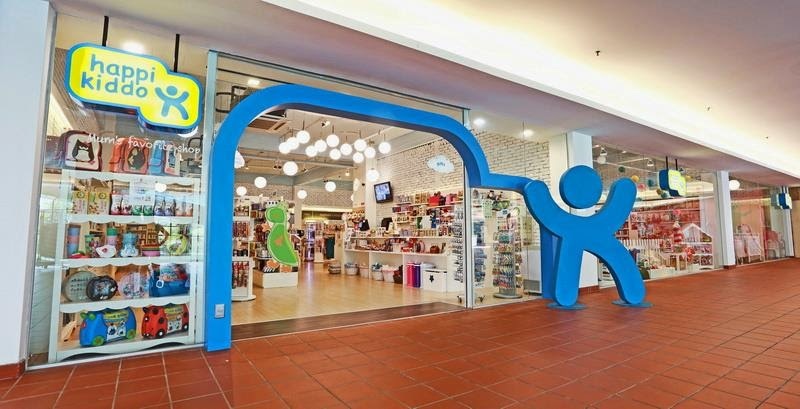 Level G3-49, Publika Shopping Gallery. Their website is currently work-in-progress. 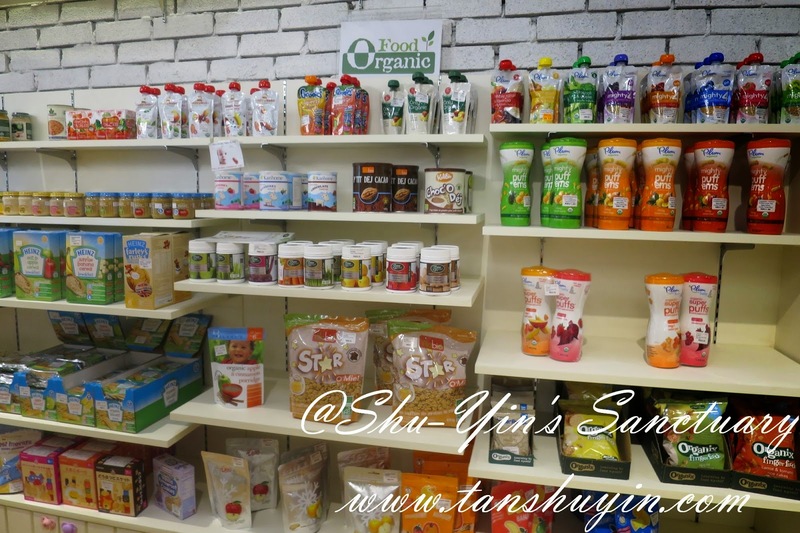 A new website with all products offered in the stores will be launched early next year. 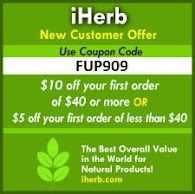 For online order, customers can reach them via FB private message. * Disclosure: I received a 20% discount on my purchase on the launching day and also a small set of melamine bowl, a plate and a kiddy chopsticks, but no monetary incentive was received. All text and opinions are of my own and represents my honest opinion of the product(s). Thanks for sharing this. 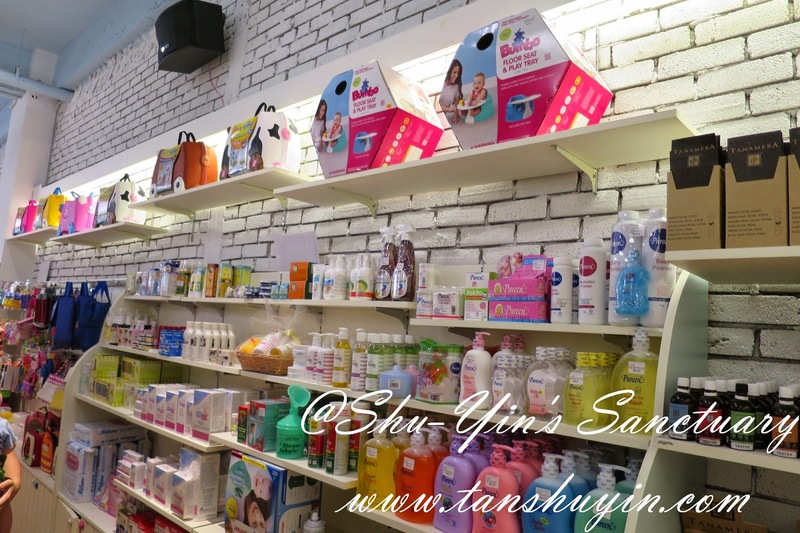 This shop looks like a complete store for mommies where you can find anything . A Personalized Art & Craft Christmas Tree!